City Bridge Trust, the City of London Corporation’s charitable arm, has awarded Age UK Bexley £90,300 for its Men in Sheds programme. The initiative brings older men together through creative woodwork workshops where they can share ideas and learn new skills. The workshops operate as a social enterprise making products for sale and providing a space to make friends and stay active. Money from the products goes towards paying for raw materials and running costs for the scheme. The City Bridge Trust funding will expand the programme in areas with high rates of social isolation and loneliness. 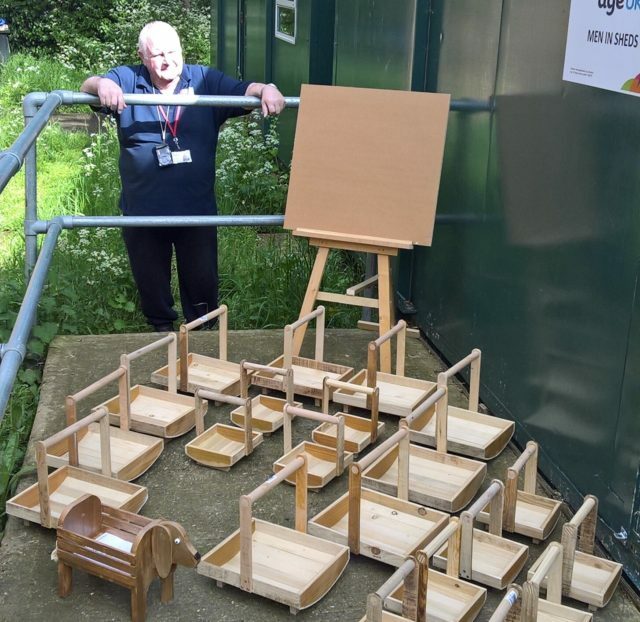 It will pay for more temporary ‘sheds’ which can be easily moved around the borough providing workspaces where the men can create products like bird and bat boxes in sociable group workshops. Each new ‘shed’ and workshop will be supported by trained volunteers, using existing community spaces, in partnership with other local organisations to reach as wide an audience as possible.